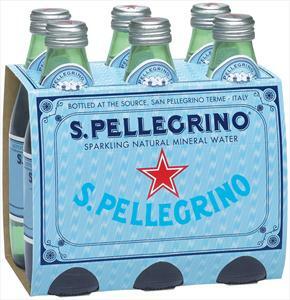 One of my favorite (monetary) indulgences are individual bottles of San Pellegrino. These 8.45 oz bottles are the perfect sized refreshment as you head out the door to a summer wedding or a mid morning meeting. It’s not that they are so expensive (typically $5.99/ 6-pack), it’s that I love them and would drink three per day if didn’t have to pay for it. These petite libations dress up an occasion, even if you’re just headed to the grocery store to buy more. Treat Yo’ Self to a sparkly Tuesday!